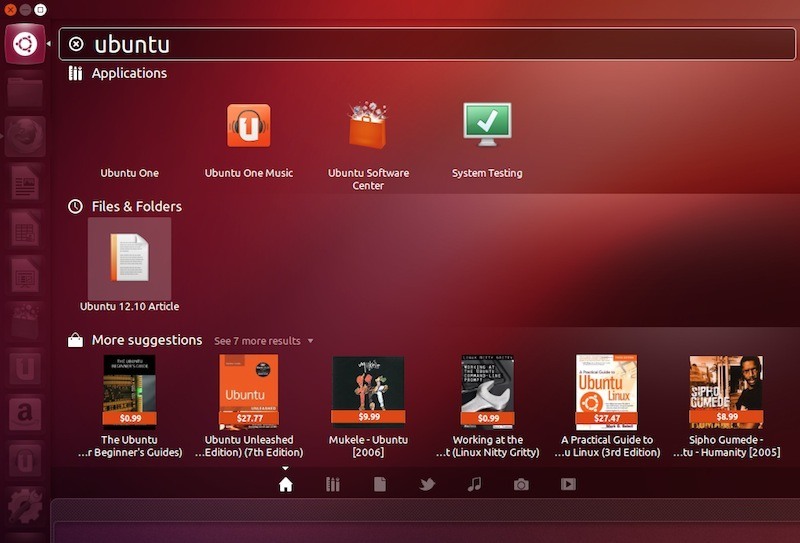 With Ubuntu 12.10 (Quantal Quetzal), Canonical introduced a revamped Dash with brand new lenses and host of new features. This made Dash more stable, reliable, and user-friendly. The Dash, apart from allowing you to search for your files, also lets you browse them without the need for opening. Thus, Dash has become one of the most banked-upon features in Ubuntu 12.10. 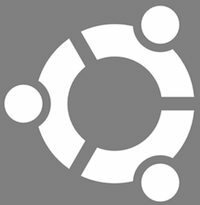 Though the search capabilities of Dash aren’t as good as what we find on Windows and Mac, it does, however, serve as one of the most important parts of the Ubuntu desktop. Many people rely on the Dash for searching for files, browsing them, even previewing music, thus making it an indispensable part of the desktop. While they use it on a daily basis, many don’t know how to make the most out of this nifty feature. If you’re one of those people who are trying to get the most out of Dash, here are some useful tips that you should try out. The Previews feature lets you browse files and photos without opening them. So, let’s say you’re browsing a bunch of PDFs and you finish your work and close them. The next day when you open up the Dash, you’ll find that your files are shown in the most recently used files and folders list. Now simply right-click any one of those PDFs and you’ll be able to preview the cover of the book or document. Then, by clicking the right arrow on the Dash or by pressing the right arrow key, you can browse other recently used files in the dash itself. This is similar to Cover Flow on Mac but is much more convenient as you can choose to mail that document without even opening it. Simply preview it and then click on the Email button on the bottom left. This will open the default email client. Once you’re done browsing, exit the preview mode by pressing the Esc key on your keyboard. 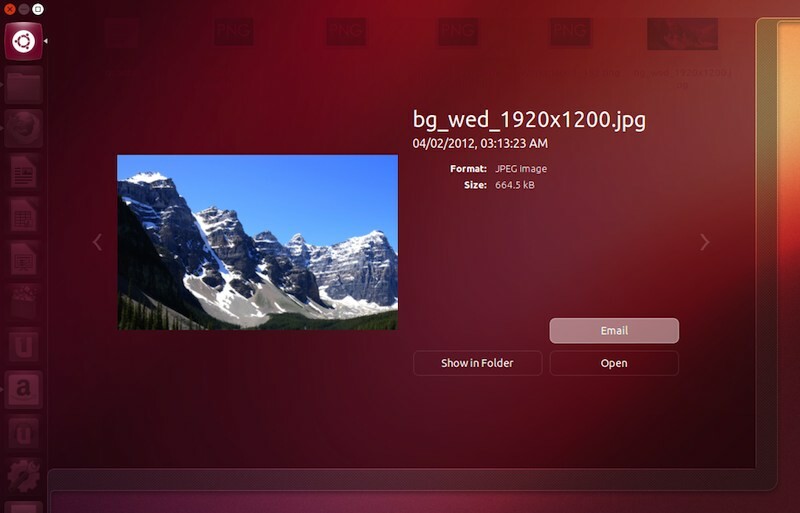 Ubuntu 12.10 (Quantal Quetzal) has introduced a neat little photo lens that lets you browse and search photos from your computer and web. You can use this Dash to browse your pics Cover Flow-style with the preview mode. Simply right click any photo that appears in the photo lens and start browsing other pics using the right or left arrow keys. Dash in Ubuntu 12.10 also lets you preview entire music albums without opening Rhythmbox or any other music application. Once in the music lens, simply search for your favorite album. Now that it has appeared, right-click on it and a list of all the tracks will show up. Click on the play button next to any track and you can preview the song without quitting the Dash. Clicking on the album will open it using the default music player (Rhythmbox). Again, to exit the preview mode, simply press the Escape key.